A venerable Birmingham, England-based melodic hard rock outfit, Magnum emerged in the early 1970s, and throughout the decades developed a sound that straddled the line between heady art rock and commercial pop. Tangentially tied to the New Wave of British Heavy Metal movement of the late '70s and early '80s, the band found success in 1982 with the release of their third studio LP, Chase the Dragon, which spawned a handful of hit singles in the U.K. They reached their commercial zenith in 1988 with their seventh effort, Wings of Heaven, which cracked the Top Ten at home and also made a strong showing in the European market. 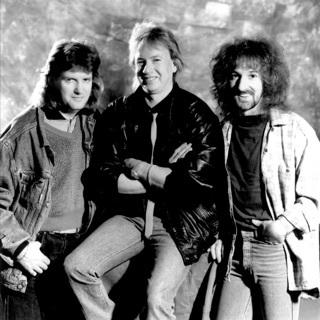 The band ceased operations in 1995 after co-founders Bob Catley and Tony Clarkin decided to strike out on their own under the moniker Hard Rain, but they re-formed in the early 2000s. Beginning with 2002's Breath of Life, Magnum 2.0, with Catley and Clarkin the sole original members, issued a string of well-received albums like The Visitation (2011) and Lost on the Road to Eternity (2018), that found favor both at home and across Scandinavia and Western Europe. 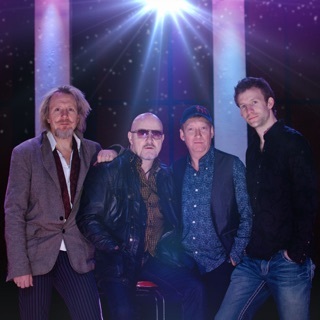 Formed in 1972 by Tony Clarkin (guitar, songwriter) and Bob Catley (vocals), Magnum initially served as the house band at Birmingham's famed Rum Runner nightclub, and would occasionally operate as the backing band for more established artists, including Del Shannon. In 1976 the group inked a deal with Jet Records, headed out on tour in support of Judas Priest, and began work on their debut album. 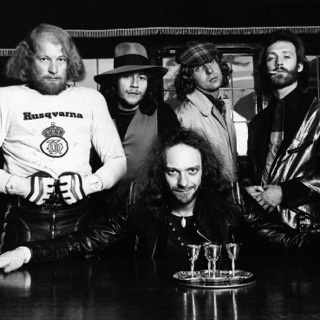 The resulting Kingdom of Madness, released in 1978, debuted at number 58 on the U.K. Albums chart, and drew favorable reviews that compared the band to contemporaries like Jethro Tull, Styx, and Kansas. Produced by ex-Ten Years After bass player Leo Lyons, Magnum II arrived the following year, but it was the group's third studio effort, Chase the Dragon, that would bring Magnum into the spotlight. Released in 1982 and produced by Jeff Glixman, who helmed Kansas' quadruple-platinum selling Point of No Return, the album reached the Top 20 on the strength of the singles "Soldier of the Line," "The Spirit," and "Sacred Hour," all of which would become staples of the group's live sets for years to come. In keeping with the times, the LP's artwork was made by noted fantasy illustrator Rodney Matthews. Denied the funds to bring in a big-time producer for album number four, Clarkin elected to handle the duties himself, but tension between the group and Jet would make the ensuing Eleventh Hour their last outing for the label. A one-off deal with FM Records yielded 1985's On a Storyteller Night, which helped break the band in Europe, where it found enormous success. They moved to Polydor for 1986's Vigilante, which was co-produced by Queen drummer Roger Taylor, and in 1988 they issued their most commercially successful set to date, Wings of Heaven. Featuring the hit singles "Days of No Trust," "Start Talking Love," and "It Must Have Been Love," the album reached number five in the U.K., number eight in Norway, and number two in Sweden. 1990's Goodnight L.A., which was recorded in Los Angeles with American producer Keith Olsen (Whitesnake, Foreigner), performed well in the U.K. and Europe, but failed to break in the United States (it was never even distributed there), resulting in the group parting ways with Polydor. A concert album, The Spirit, arrived in 1991, followed by the studio LP Sleepwalking (1992) and the acoustic album Keeping the Nite Lite. The band signed with EMI for their 11th full-length effort, Rock Art, but despite peaking at number 57 on the U.K. charts (it was their lowest since Magnum II), Magnum opted to call it a day the following year.